Van Gogh gave a piece of his ear to a prostitute for "safe-keeping." Her response? She fainted. In the fifth season of "Doctor Who," the eleventh doctor (played by Matt Smith) and Amy Pond travel through time and space to visit van Gogh. Van Gogh's sister-in-law Johanna is largely responsible for his success after his death and that of her husband, his brother Theo. Vincent van Gogh’s first career choice was actually in missionary work. The angsty artist soon however, became disillusioned with organized religion. Van Gogh felt that it did more to help the church than actually do anything to help the poor. We might be in agreement. The artist would know as a member of the poorer class himself. Though he painted over 800 paintings, he was only able to sell a hand full of them in his lifetime. He wrote: “I can't change the fact that my paintings don't sell. But the time will come when people will recognize that they are worth more than the value of the paints used in the picture.” The man was right as his paintings, should they ever come on the market, regularly sell for at least $100 million. Local townspeople in Arles, France called Van Gogh "fou roux" or "red madman." Insensitive really, as van Gogh's mental state landed him in an insane asylum on several occasions, and led him to cut off part of his ear, wrap it in a piece of cloth, and give it to a prostitute for "safekeeping." Several theories have been proposed for van Gogh’s personality issues: schizophrenia, syphilis, porphyria, bipolar disorder, and temporal lobe epilepsy. A possible contributing factor was that van Gogh occasionally ate his paints, which had bases of copper, arsenic, lead, and mercury. You can read more about the murder theory in Steven Naifeh and Gregory White Smith’s biography "Van Gogh: The Life." He's featured in Irving Stone’s 1934 "Lust for Life" and subsequent 1956 movie adaptation featuring Kirk Douglas. Don McLean's 1972 mega-hit "Starry Starry Night" captures the tragedy of van Gogh's life perfectly. In an episode of the British cult-classic "Doctor Who," van Gogh fought actual monsters rather than ones in his mind. Google Doodle-d him for his 152 birthday! Vincent Willem van Gogh (Dutch: [ˈvɪnsɛnt ˈʋɪləm vɑŋ ˈɣɔx] ( listen); 30 March 1853 – 29 July 1890) was a Dutch post-impressionist painter who is among the most famous and influential figures in the history of Western art. In just over a decade he created about 2,100 artworks, including around 860 oil paintings, most of them in the last two years of his life. They include landscapes, still lifes, portraits and self-portraits, and are characterised by bold colours and dramatic, impulsive and expressive brushwork that contributed to the foundations of modern art. However, he was not commercially successful, and his suicide at 37 followed years of mental illness and poverty. 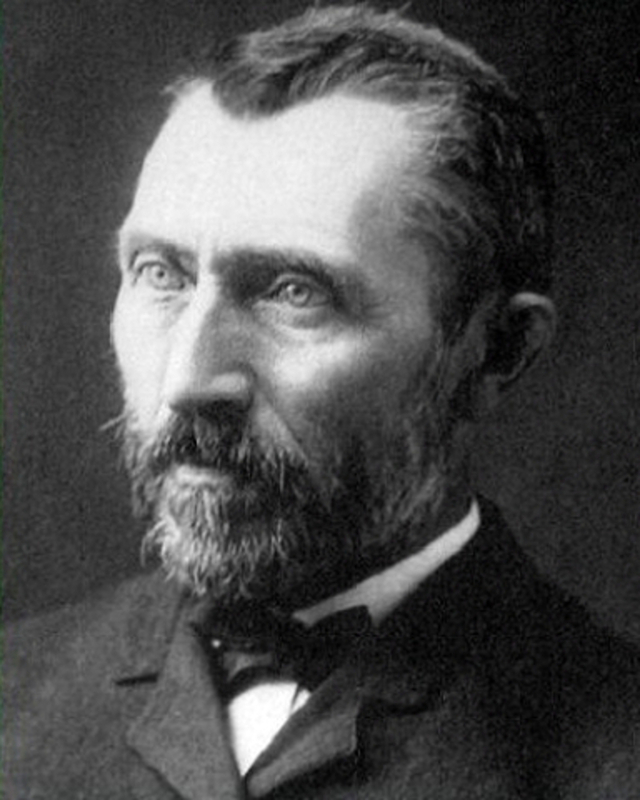 Check out the full Wikipedia article about Vincent van Gogh.